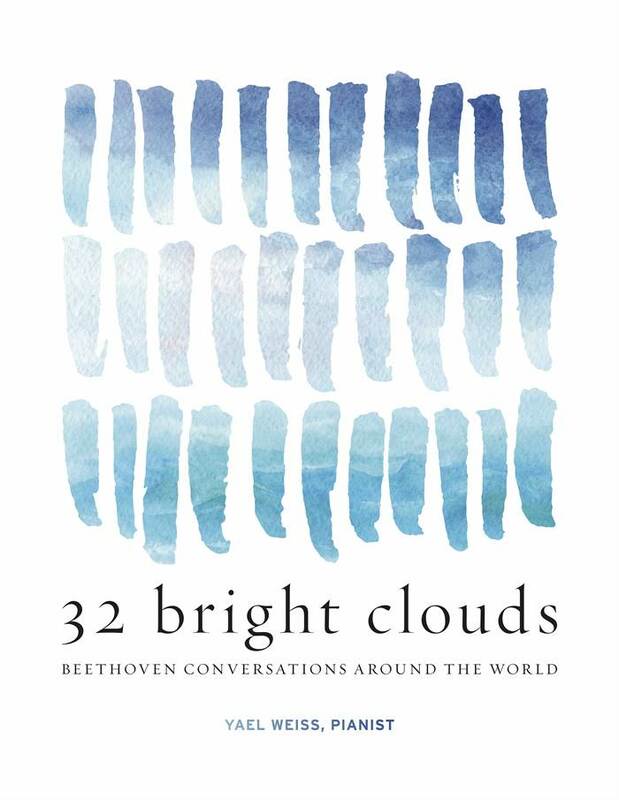 32 Bright Clouds: Beethoven Conversations Around the World is a global music-commissioning, performing and recording project. 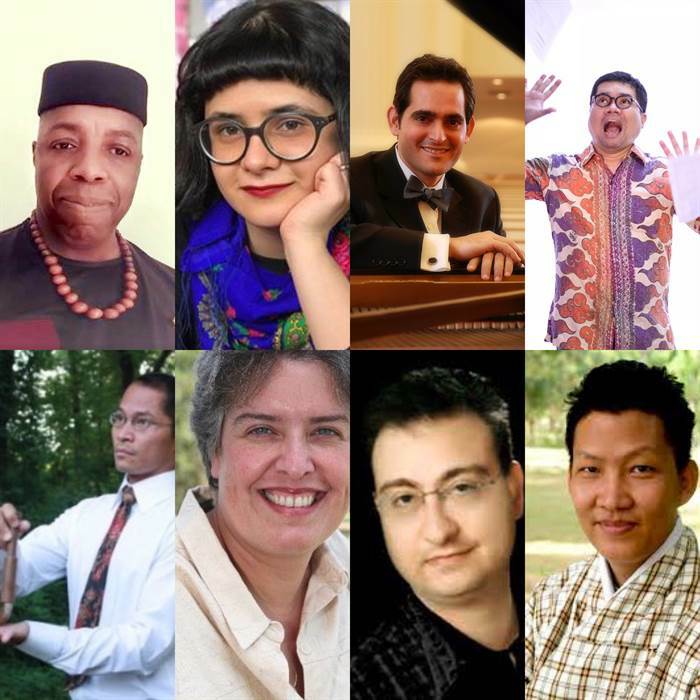 Curated and performed by pianist Yael Weiss, the project commissions new works from 32 countries of conflict and secluded areas spanning the globe, all united through musical themes from Beethoven. 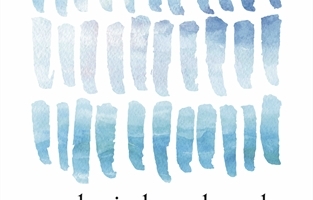 32 Bright Clouds aims to harness music’s great power for unity and peace. 32 Bright Clouds is a global music-commissioning, performing and recording project. 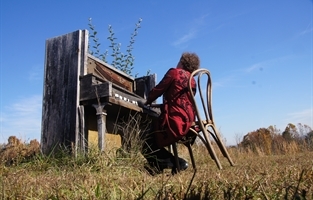 Pianist Yael Weiss engages composers hailing from countries where conflict and instability create challenges and obstacles for artists, and countries where classical music is not a widespread form of artistic expression. All 32 Bright Clouds pieces are unified by a single motif, the “Peace” motif, from Beethoven's Missa Solemnis, which provides a point of cohesion for the cycle of works. Weiss selected the motif because of Beethoven’s compelling inscription "A Call for Inward and Outward Peace" above the notes. Beethoven's dedication expresses the overall essence, purpose, and character of 32 Bright Clouds. Each work makes use of this motif as a musical “code”, representing our shared human experience and the universal aspiration for peace. In addition, each of the 32 newly commissioned compositions is a personal exploration of material from one of Beethoven’s 32 Piano Sonatas, while at the same time offering a unique expression of the composer’s local musical language. 32 Bright Clouds includes three types of performances: Concerts devoted entirely to the new compositions, concerts juxtaposing the new works with their related Beethoven Sonatas, and presentations that include spoken and video elements. Video documentation costs. This includes ongoing videography costs to produce materials about the 32 commissioned composers, interviews, and performances. The ultimate goal of this videography is to create a documentary about the project that offers a compelling story of diverse people unified through music. Donations are all tax-deductible. By clicking one of the sponsorship-levels buttons here you can make a charitable contribution to the project online using a credit card through the New York Foundation for the Arts, a 501(c)(3) non-for-profit organization. Sponsorship levels and rewards are detailed at the bottom of this page. An award-winning pianist of “consummate artistry” (The Washington Post), Yael Weiss has given recital and concerto performances across the United States, Europe, Asia and South America, from Carnegie Hall to London’s Wigmore Hall and Moscow’s Bolshoi Theater. Her New York recital debut, presented by the Metropolitan Museum, was acclaimed by The New York Times as “remarkably powerful and intense... fine technique and musicianship in the service of an arresting array of music” and in a recent appearance at the Kennedy Center, The Washington Post cited her “liquid tone and unfailingly wise phrasing”. Weiss’s discography of solo and chamber works on Koch International and Bridge Records includes traditional classical repertoire as well as world premieres by more than a dozen composers. She also created “Classical Minutes”, a popular series of daily podcasts available on iTunes. Ms. Weiss’s mentors include two of the great Beethoven interpreters of our time, Leon Fleisher and Richard Goode. She is a member of the Weiss- Kaplan-Stumpf-Trio, and currently lives in New York City. 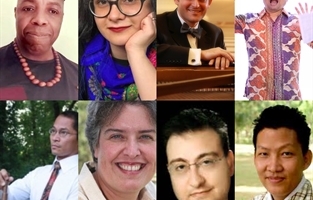 Offerings for the 2018-19 season bring to the stage new works from composers representing Ghana, Indonesia, Iran, Jordan, the Philippines, Syria and Venezuela. Upcoming “32 Bright Clouds” performances include concerts in Washington DC, Ann Arbor MI, London Ontario, St. Petersburg FL and Havana Cuba. Interested in learning more about 32 Bright Clouds directly from Yael? Now you have the chance to get the inside scoop on the project, from its original conception to future plans. Limited to locations in New York City or convenient to performances in your area. Outreach concert event in your honor at the local school, business, nursing home or similar organization of your choice - date and location TBD. (Anywhere in the US. For locations outside the NY-NJ-CT area, transportation costs are additional). Must have a piano at the location. Yael Weiss will present a program in the donor’s honor including Beethoven and works from the “32 Bright Clouds” project.